Scalability is not merely starting small and growing big. There are many dimensions to consider and most are critical to true investment protection for the end user. This blog post will explore challenges of scalability and in the next several posts we can hopefully set a new expectation for scalability for industrial software system purchasing decisions in the future by “raising the bar” on scalability. 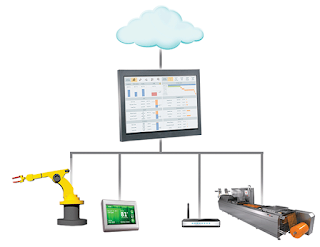 Automation and information systems represent a major investment for all industrial businesses, large or small. Long-term protection of that investment is a significant consideration when selecting a partner and a system. Though technology lifecycles may precipitate change, it is extremely important to be able to evolve solutions over time, expand them into previously unforeseen areas, and integrate them with other systems which may or may not already be in place. In many cases, it is also important to consider the ramifications of potential merger or acquisition activity, and how systems may be affected by that eventuality. All the while, businesses must stay focused on protecting intellectual property, minimizing disruption to operations and doing so cost effectively. These requirements match system characteristics along dimensions of scalability, from small to large, one to many, current to future, simple to complex, single piece of equipment to entire enterprise. Meeting those requirements demands a level of architectural design of automation and information systems that is purposefully constructed to support scalability in all dimensions. Those kinds of demands cannot be met by “bolting on” interfaces, repeating expensive design work or rip-and-replace tactics. The result would be inadequate and unbearably costly. To meet that challenge, requires a software architecture designed to be inherently scalable in all meaningful dimensions. Over the next several posts I will explore various options that one has. Stay tuned as we explore the following: Functional Scalability, Solution Scalability, Vertical Scalability, Horizontal Scalability,“Baked-in” Scalability. Special thanks for the contributions to this post to Phil Couling, Product Marketing Director, Supervisory HMI & SCADA, author of the “ Raising the Bar on Scalability”.